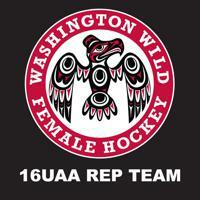 WWFHA proudly announces the newly formed Washington Wild 16U Rep Tier 2/AA team, which will play in the highly competitive Canadian Pacific Coast Amateur Hockey Association (PCAHA) female division and in nationally scouted tournaments in the US and Canada. Erik Hanson will lead the team as head coach for the 2018-2019 season, with Molly Doner as assistant coach. Hanson returns to WWFHA for his second year, while Doner joins WWFHA after a successful NCAA D1 career at the University of Wisconsin. Tryouts are open to all USA Hockey female players and will be held June 23 and 24 at Kent Valley Ice Centre. Erik Hanson moves from the Washington Wild 14UAA team to lead the 16UAA team in its inaugural season. Coach Hanson has been developing hockey players in the Pacific Northwest for over a decade, from beginners to professional level athletes. With an eye for biomechanics and an ability to demonstrate complex skills and break them down into teachable components, he is uniquely able to help his players grow and excel. 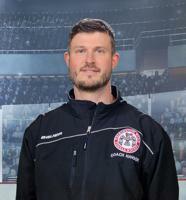 With his primary focus on player development and small group training, he has managed beginner programs for various local hockey associations, taught private lessons, camps and clinics for over ten years, and has coached several successful teams. Coach Hanson’s commitment to player development has garnered the respect of the hockey community at large, and his expertise in power skating and advanced skill training have been utilized at all levels of play, from individuals just beginning their journey to players stepping into a professional career. As a player, Coach Hanson signed a tender contract with Dubuque as a defenseman and played for the Fighting Saints in the U.S.H.L. (1997), and was recruited by NCAA D1 programs such as Colorado College, UMASS Lowell and Vermont. WWFHA is excited to have Coach Hanson return for his second year so he can build upon the development of players that he started last year with many of the players moving up to the 16U age division. 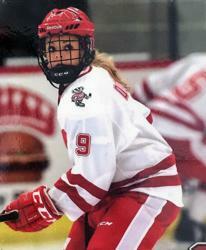 Molly Doner joins WWFHA after a successful career playing for the University of Wisconsin. She grew up playing locally for Seattle Junior Hockey Association and Kent Valley Hockey Association. A 4-time USA Hockey National Player Development Camp attendee, Doner earned the tournament MVP title when her team won the 19U Pacific Championship in 2011. She played for the University of Wisconsin (2012-2016) where the team was a 2-time WCHA league Champion, won the WCHA championship title twice, and made 3 NCAA Women’s Hockey Final Four appearances. While at Wisconsin, Doner received the Badger Award for Most Inspiring Player, which goes to the player who inspires others through her commitment to hard work and unselfish play. She is also a 2-time recipient of the Impact Award, which is presented to the athlete who donates the most time to the community. Doner brings her collegiate playing experience to the newly formed 16UAA, as well as her background and experience in off-ice training. WWFHA is thrilled to have Doner join the WWFHA family as a role model who will teach and inspire the next generation of elite players. Registration will be open in early May.